new sound processor from Cochlear. 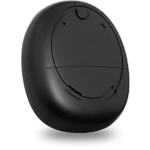 Kanso™ is an off-the-ear sound processor that’s so discreet it’s barely noticeable, so small and comfortable you can forget you’re wearing it. This offers greater confidence that you can live your life your way. Kanso does this without compromising on hearing performance technology. Kanso incorporates the same industry-leading features as the Cochlear™ Nucleus® 6 Sound Processor, making it even easier for you to find the joy of hearing. For more information on Kanso, click here. Cochlear is offering you the opportunity to purchase the Kanso Sound Processor Kit from the myCochlear™ Online Store* and we can deliver it directly to your home. Note: At this stage, Kanso is not reimbursed by the Health Funds.